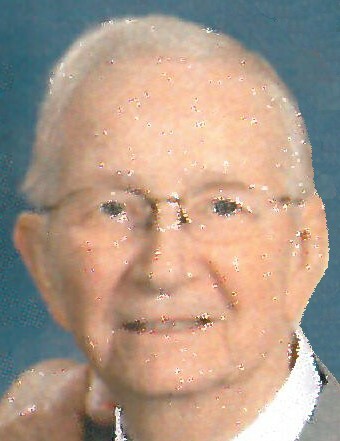 Lee A. Treptow, age 84, Ashwaubenon, died Wednesday, April 10, 2019. He was born September 12, 1934, to the late Arthur and Lucille (Meyer) Treptow. Lee attended Whitney Grade School and Green Bay East High School. On July 7, 1985 he married Dorothy Carol Boettcher at First Ev. Lutheran Church in Green Bay. Lee served his country in the U. S. Army from 1959 until 1963. He was employed by the Wisconsin Department of Transportation. He was a member of First Ev. Lutheran Church where he was an usher and served on the property committee. He enjoyed woodworking, gardening, working counted cross stitch projects and sudoku puzzles. Lee is survived by his wife, Dorothy; in-law siblings, Jim (Pat) Boettcher, Ledgeview; Katy (Dave) Pelow, Gillett; Susie (Bill) Eleazer, Ocala, FL; Fred (Karen) Boettcher, Hudson; Doug (Phyllis) Boettcher, De Pere; Kris (Ranny) Husby-Nelson, Baileys Harbor; and Gloria Treptow, Green Bay; and many nieces, nephews and friends. In addition to his parents, Lee was preceded in death by his brothers, Mark (Doris) Treptow, Don (Danny) Treptow, and Bill Treptow; brothers-in-law, Ralph (Shirley) Boettcher and Peter Husby; and his nephew, Mark Husby. Visitation for Lee will be held Sunday, April 14, 2019 from 1:00 pm until the funeral service at 3:00 pm at the First Ev. Lutheran Church, 743 South Monroe Avenue, with Rev. Paul Schleis officiating. Interment will be at Woodlawn Cemetery. Expressions of sympathy, memories and photos may be shared with Lee’s family on his tribute page at www.lyndahl.com. A memorial fund will be established for the First Ev. Lutheran Church and Unity Hospice in Lee’s memory. The family would like to express a special thank you to the staff at Unity Hospice, Pastor Schleis and Mrs. Schleis, the neighbors and friends for their care and concern for Lee.